The Diocese of Rajkot lies at the north western most part of India, stretching over the whole peninsula of Saurashtra and Kutch, covering an area of 109,950 sq kms. It comprises the civil districts Amreli, Bhavnagar, Botad, Dwaraka, Gir-Somnath, Jamnagar, Junagadh, Morbi, Porbandar, Rajkot and Surendranagar together popularly known as Saurashtra, and the district of Kutch in Gujarat State. By the Papal Bull “De Recta Fidelium” of February 25, 1977, Pope Paul VI erected the new Diocese of Rajkot, separating it from the Diocese of Ahmedabad. As the Jesuit Vice-Province of Ahmedabad, to whom the Ahmedabad Diocese had been entrusted from its erection in 1948, was unable to provide the personnel to manage this vast territory, and to meet the increasing demands on all fronts, an invitation was made to the Congregation of Carmelites of Mary Immaculate (CMI) of the Syro-Malabar Rite, to take up work in this Diocese. An agreement was made between the former Bishop Edwin Pinto SJ of Ahmedabad and the CMI Prior General that certain areas of Ahmedabad Diocese should be handed over to the CMI with full responsibility for their apostolate, with a view to erecting a new Exarchate or Eparchy when the Holy See so decided. Since 1972, the CMI Fathers have been working in these areas, which have since been formed into the separate Diocese of Rajkot in 1977. Mar Jonas Thaliath CMI was appointed the first Bishop of Rajkot. He was ordained Bishop on May 11, 1977 and was installed on June 19, 1977. Bishop Jonas was called to his eternal reward on November 7, 1981. Fr Victorian Kunneparampil CMI shouldered the administration of the Diocese until Mar Gregory Karotemprel CMI was ordained the second Bishop of Rajkot on April 24, 1983. Mar Jose Chittooparambil CMI was appointed Bishop on July 16, 2010 and ordained and installed as the third Bishop of Rajkot on 11 September 2010. Initially, St Mary's school Rajkot housed the eparchial offices. In 1983 the Bishop's House was shifted to the present location along Kalawad Road, Rajkot. In 1989 the Pastoral Center of the diocese was opened at the Bishop's House campus. Jeevan Darsan Minor Seminary—the first seminary of the diocese was blessed on 1989 in the same campus. 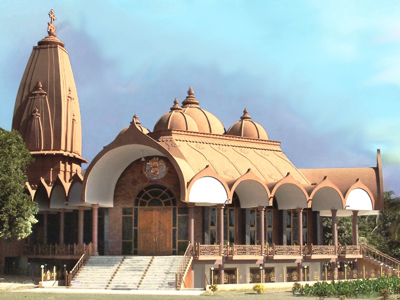 In the year 2000, the diocese was blessed with the Consecration of Prem Mandir, the Cathedral Church of the eparchy, at the Bishop's House campus. This entire mission territory was entrusted to the Sacred Heart Province (Kochi) of the CMI Congregation in 1978 and was called Rajkot Mission, which eventually grew into the provinces of St. Xavier's, Rajkot and St. Chavara, Bhavnagar. The providence of God lead Bishop Gregory Karotemprel to the foundation of two diocesan congregations, namely, the Society of Devpriya Sisters (DP, foundation in 1989) and the Society of the Sisters of St. Alphonsa (SSA , foundation in 1997). Sisters from 27 Congregations including two diocesan congregations are together doing the missionary activities in the diocese of Rajkot.